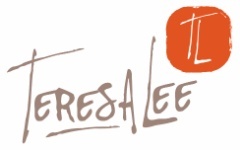 Thank you for your interest in working with Teresa Lee to create amazing memories for you, your family, or business! Please provide as much information as you can and we will be in contact right away to answer any questions you may have and help you to set up an appointment with Teresa Lee. We are based in Arkansas and serve Colorado, New York and California. We also work with commercial clients and weddings worldwide. Please ensure you select your location below, or leave it in the message section. Or simply email Robert Lee at robert@teresalee.com.